I have a great resting heartrate, my blood pressure is low and I workout 5 days a week. But I’m still dealing with chronic pain. And that means I have a lot of doctor’s appointments. 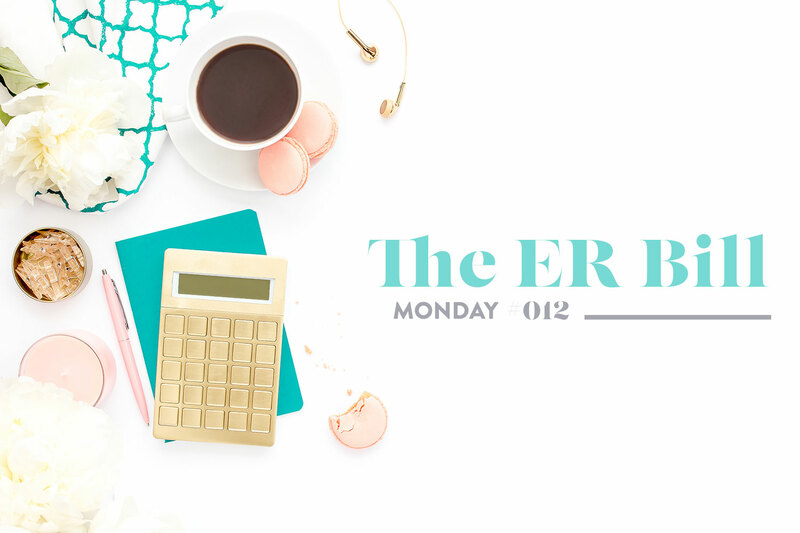 I’ve been to the ER more than a handful of times since my chronic migraines started. It’s not a place I ever want to go. I often have mild panic attacks when I’m there. But when my options for breaking an 8-10 on my pain scale aren’t working, desperate times call for desperate measures. It’s not just going to the ER though. When I was on my own insurance plan, not through an employer or partner, I had migraine medications that cost $45 a pill. Let me repeat that so it sinks in. When I took my migraine meds, it was $45 per pill and not guaranteed to get rid of my migraine. On top of meds, I pay for specialists and physical therapy each month. All in an effort to simply wake up pain-free. It’s hard to budget when a large percentage of the money you make is already spent on taking care of your health, trying to get to the bottom of the daily pain and abortive options when the pain gets real bad. Speaking of, I went to the ER between Christmas and New Year’s. I didn’t want to and the husband had to keep me calm while I anxiously waited for the IV to empty into my body. I begged him to talk to me about truck repairs, that’s how much I needed to be distracted. Before I dig into how a relatively short ER visit costs more than our mortgage payment each month, I want to explain that I’m lucky enough to have better insurance now that I’m married. So I am not responsible for the total amount. It’s not difficult to understand how folks get into debt with medical bills when a single situation could’ve cost me almost as much as I make in a month. How would you handle all of your income being spent on a single medical bill? But why so expensive? Let’s break it down. $566.00 just for showing up at the ER doors. One could think to themselves, if I need to go to the emergency room, that’s a $566 decision. $546.00 for infusions — the single IV bag that I got (at least it was warmed?) Now that I think about it, maybe requesting warm fluids cost me more than cold ones. $168.63 for the medication they added to the IV (what a deal!) This is the stuff that makes me feel better. I usually get a cocktail of 3 medications via IV that dropped my pain from a 9 to a 2 this particular day. If I had to pay for this out of pocket, all 7 of my ER visits could account for almost $10,000 of expenses. Which would boil down to a choice of being in excruciating pain or going into debt. I chose to go into debt. Medical bills are not the only issue, and I acknowledge that. Yet they are a huge part of the story and I know that I would do it again. But I also know I would likely do things differently in other areas of my life.